Liverpool will wrap up the signing of Andrew Robertson before the end of the week, having booked the Scot in for a medical tomorrow. If he passes, the details of his £8m rising to £10m transfer will no doubt be a formality considering he just got relegated with Hull and will naturally jump at the chance of a Merseyside switch. 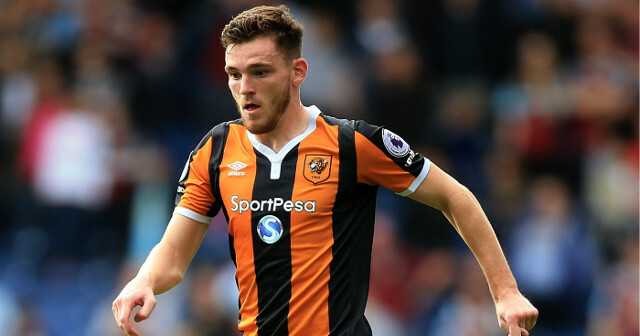 Robertson left his training camp with Hull in Portugal on Tuesday and will arrive to compete with James Milner at left-back. Our vice-captain did well there last year, but he lacks Robertson’s pace and left-foot. Now, it’s up to the 23-year-old to first prove he’s an upgrade on Alberto Moreno, the Spaniard he’s almost certain to replace, then Milner himself – although we expect the pair to be used in rotation for much of the campaign. It’s not the most exciting signing for a position that desperately needed strengthening, but hopefully securing Robertson for just £8m will prove astute business.